Dial and hands: Dial is 100% original and absolutely stunning. The best I have seen. Markers have turned into a light cream and there are no spots on it. Hands are either a replacement or have aged differently, not uncommon for these models. But all original as far as I can tell. 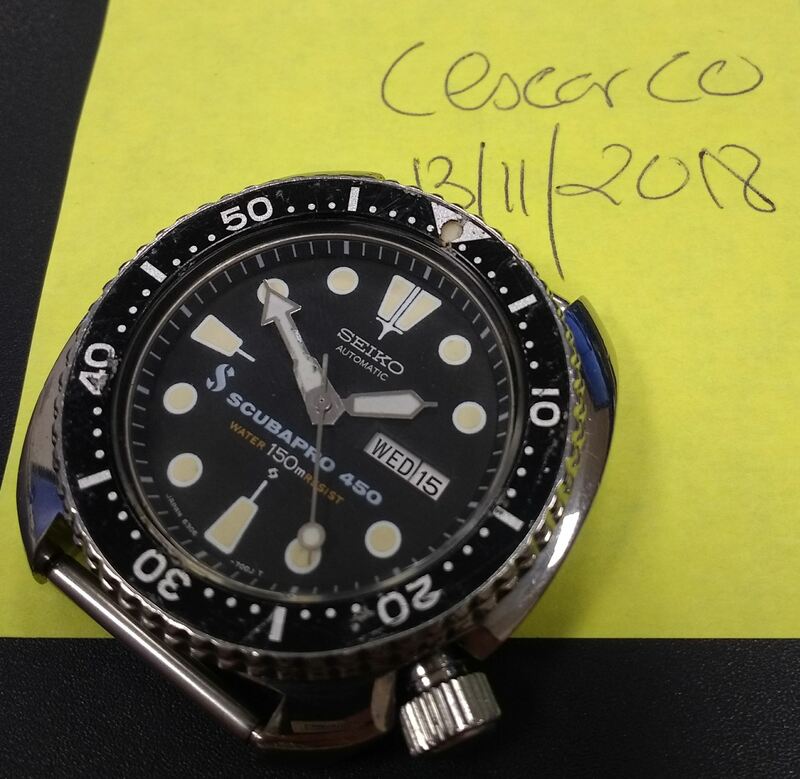 Up for sale, its my iconic Seiko 6306-7001 Scubapro 450. 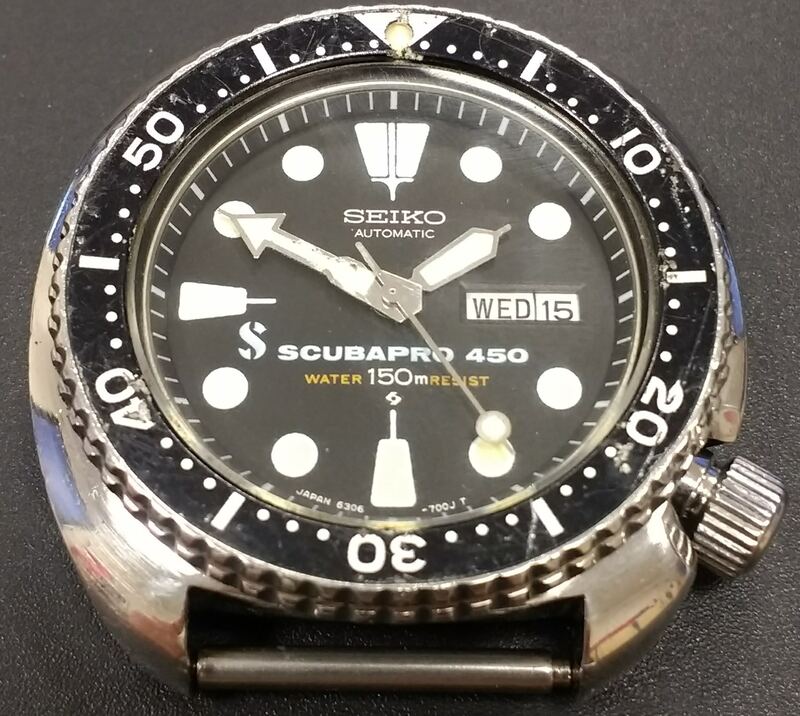 Only around 1000 of these watches were made for the Japan market only. Rarely you will see one for sale and most are traded in the Far East. So this is a great chance to own one. 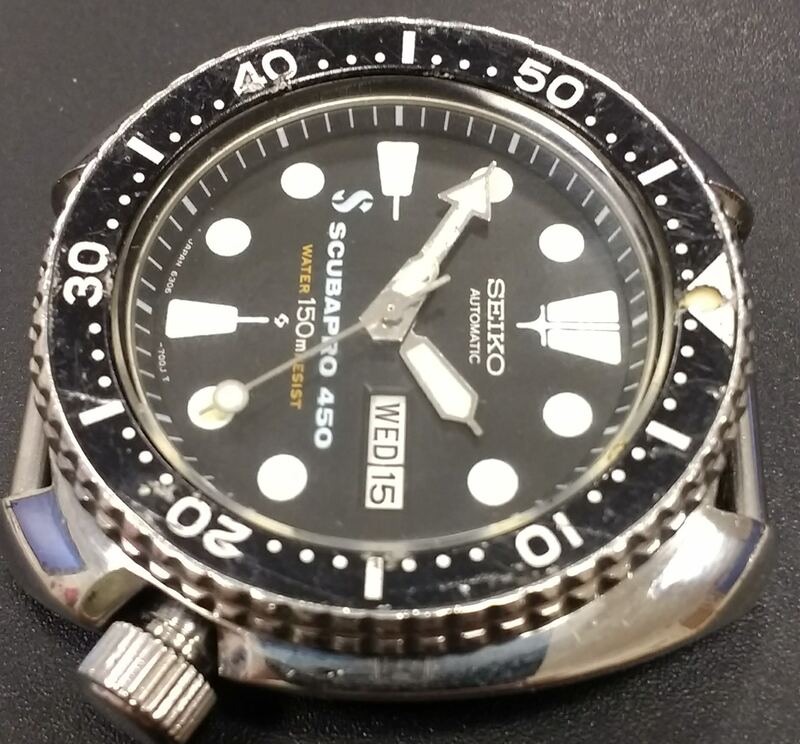 As expressed above, this unit its not pristine but the dial is really impressive and could be a very nice daily wearer. Price for this unit and reflecting its condition is 3.000 euros or near offer, which includes shipping through the mainstream carriers (DHL or EMS). Should you wish Fedex or UPS, this can be arranged at corresponding delta cost. Similar examples have been running between 4k and 5k, so I have adjusted my asking price to reflect the bezel and case status. Bankwire payment preferred, though I can accept Paypal as well in specific conditions and will split fees. I will also grant a 3 days inspection period. If not as described, watch can be returned in same condition and at buyer´s expense. For this reason I would prefer a deal within the EU. For other places, sale is final due to potential Customs constraints. Watch and myself are located in Spain. This watch its part of my collection and do have plenty of references worldwide which can be provided upon request. Buy with full confidence. 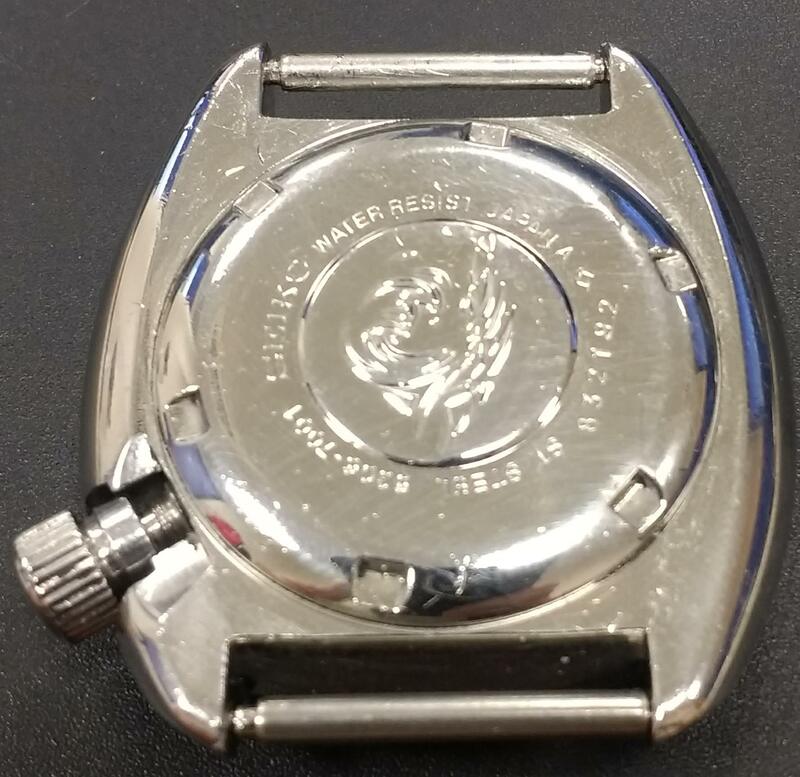 And here a couple of pictures of the watch. If you would need any further pictures or should have queries, please just ask, will be more than happy to help.